Facebook's profits have jumped in the first three months of the year, as the social network closes in on two billion users, according to its latest results. The US tech giant reported profits of just over $3bn (£2.4bn) in the first quarter, a 76% rise year-on-year. However, it warned that growth in ad revenues would slow down. The company has also come under sustained pressure in recent weeks over its handling of hate speech, child abuse and self-harm on the social network. On Wednesday, Facebook chief executive Mark Zuckerberg announced it was hiring 3,000 extra people to moderate content on the site. Facebook bolsters moderating team Zuckerberg addresses 'Facebook killing' A quarter of the world's population now uses Facebook every month, with most of the new users coming from outside of Europe and North America. Speaking after the results, Mr Zuckerberg said the size of its user base gave Facebook an opportunity to expand the site's role, moving into TV, health care and politics. "With that foundation our next focus will be building community," he said. "There's a lot to do there." The company grew its revenue from advertising, which accounts for almost all of Facebook's income, by 51% to $7.9bn in the period. However, chief financial officer David Wehner said ad revenue growth would come down significantly over the rest of 2017. He repeated previous warnings that Facebook was hitting a limit on the number of ads it can squeeze onto users' pages. 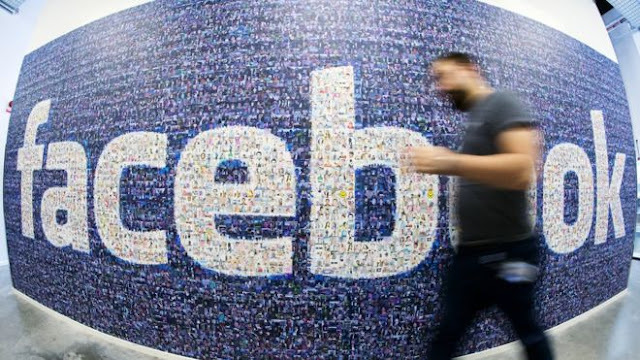 Martin Garner, an analyst at CCS Insight, said: "It's now clear that last year's stellar results from Facebook represented the peak of online advertising growth, as Facebook had warned." Mr Garner said the company needed to start showing it could make more money from its other products, including Video, Instagram, Whatsapp, Messenger, and virtual reality.